Semi-autonomous features are increasingly prevalent in cars these days but also, as many have argued (including myself) possibly very dangerous. 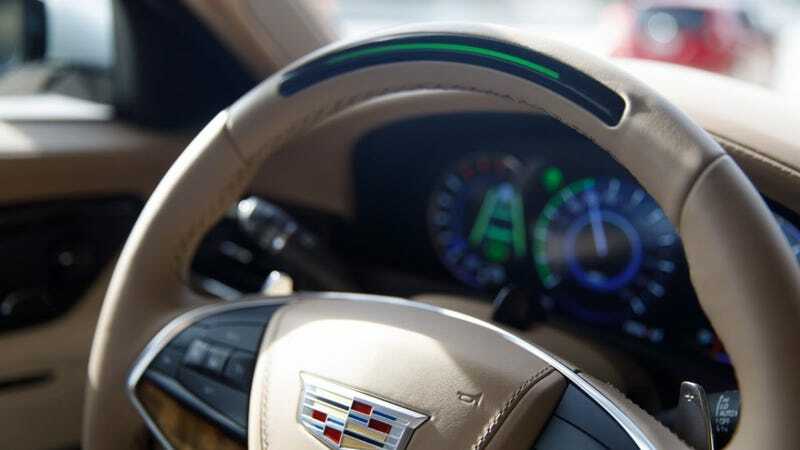 Today, Consumer Reports published their rankings of four of the most widely known semiautonomous systems, finding that Cadillac’s Super Cruise was the best and Volvo’s, well, not. CR’s rankings take into account safety above all else, and, in particular, how well each system keeps drivers engaged, since Level 2 and Level 3 autonomous systems can give drivers a false sense of security. Our tests were designed to determine how well each system performs, not only at the task of steering and controlling a car’s speed but also at helping drivers pay attention to the road when the systems are turned on. CR believes it’s a critical distinction because research shows that when these systems are engaged, drivers may pay less attention and become overreliant on the automated steering and speed control. And in their testing, Super Cruise came out on top, with Autopilot finishing second, Nissan’s ProPilot Assist finishing third, and Volvo’s Pilot Assist finishing dead last. One of the biggest marks in Super Cruise’s favor is that it “is the best system at knowing when it’s within its operational limits,” according to CR. It can’t be used on back roads or in other places where it could be difficult for the car to maintain control. Super Cruise is available only on limited-access highways that GM has already mapped, and if it cannot be engaged, it lets the driver know why. Super Cruise is the only system that provides ample warning to the driver as it approaches merging lanes, off-ramps, and difficult traffic patterns. All the other systems lack early warnings and can be used in places they’re not designed to be used. One of the biggest marks against Volvo’s Pilot Assist, meanwhile, is what it does when it detects that the driver has become disengaged. Pilot Assist completely shuts off if it detects that behavior, while the others will apply some combination of braking and/or locking out the driver, which, CR argues, is better in case a driver becomes incapacitated, though that isn’t the only thing CR thinks is bad about Volvo’s system. Consumer Reports is so concerned with drivers relying too much on these systems that the organization also is closely watching how the car companies market them. Our engineers have pointed out when automakers send mixed messages and suggest that these systems have self-driving, or autonomous, capabilities. For example, CR contacted Volvo for this article to ask about its Pilot Assist system and why it was being listed on the automaker’s website under “Autonomous Driving.” This seemed contrary to the stated intent that the system is designed for drivers to keep their hands on the wheel. Based on this feedback, Volvo changed the language on its site last week to remove the connection between Pilot Assist and autonomous driving. I’ve used both Super Cruise and Pilot Assist, but not ProPilot Assist or Autopilot, so I’m not in any real position to judge these rankings, but I will say that Super Cruise and Pilot Assist did not feel appreciably different, even though they executed some features differently than others. On top of that, I think on some level ranking these systems probably shouldn’t exist at all. As CR notes, drivers have to be engaged all the time with every one of them, so ranking systems partially on their ability to keep a driver engaged for me puts the onus on the wrong party. Anyway, read the whole CR report here.